Who says one cannot enjoy a good weekend gateway in Singapore? With the hustle and bustle of life, everyone long to go on a short holiday. Despite the high cost of living in Singapore, an affordable staycation is still achievable. Here are 5 tips for a fun and exciting staycation in Singapore. When we talk about staycations in Singapore, Sentosa is bound to come to mind. Just imagine: a little beach paradise featuring top-notch restaurants and several five-star hotels, not to mention a superb aquarium and a couple of theme parks – all just minutes away from the mainland to boot. Seriously, what’s not to love? With all that it has to offer, it’s no wonder that Sentosa remains a top choice for staycations. But as any visitor to Sentosa probably knows, “cheap” things don’t really exist in this tourist hotspot. Indeed, Sentosa is also home to some of the most expensive hotels in the country, with rates that can easily run into the thousands. Still, don’t be disheartened! Even if you’re on a tighter budget, there are ways of turning that dream of yours into a reality. So if you’d like to know more about how you can have a dream staycay without burning a hole in your wallet, read on! If you have a limited budget to work with, then you’ll have to be flexible and realistic. Capella Hotel may be incredibly luxurious and grand, but it comes with a hefty price tag – are you prepared to fork out something like $500-1000 a night? If that doesn’t sit well with you, then why not try another hotel? After all, a staycation at Capella is really not the only way to have a great beach holiday! Instead, do consider Mövenpick Heritage Hotel Sentosa (about $200-400/night), Siloso Beach Resort (around $200-300/night) or even Amara Sanctuary Resort Sentosa (from $233/night), all of which are more affordable and just as charming. Okay, this one sounds like a no-brainer, but in all honesty – do you know where to look? While places like Groupon occasionally have special staycation deals for some hotels, do check places such as the RWS official site, which announces all the special deals that are on offer. These package deals may not seem very cheap at first, but they just may get you more bang for your buck overall! A word of caution, though: do be sure to read the fine print very carefully. 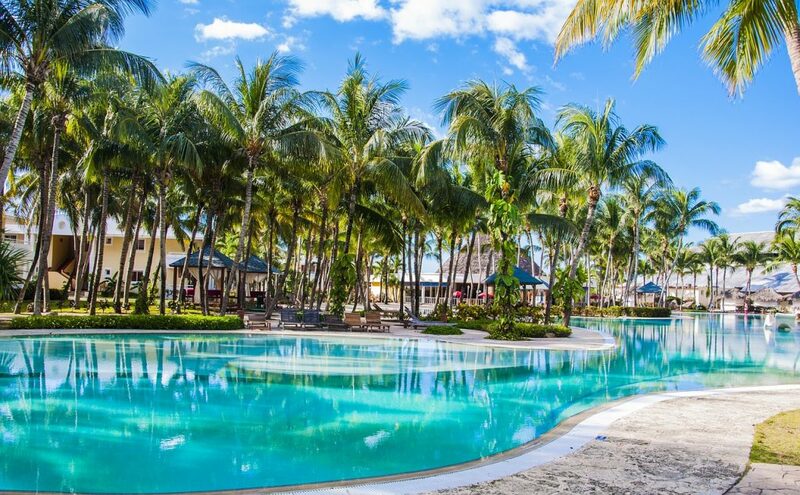 Some ongoing offers at the moment include the 3D2N Hotel and Multi-Attractions Package, which includes both a hotel stay and 2 adult passes to Adventure Cove Waterpark, S.E.A. Aquarium and Universal Studios Singapore (price from $708), as well as a 3D2N Deluxe Room stay at Siloso Beach Resort, which comes with two full-day adult passes for Universal Studios Singapore (price from $515). Although booking websites such as Hotels.com, Agoda and Expedia have made hotel searching and price comparison more efficient, they tend to be more expensive than simply booking from the hotel website directly as they charge an extra middleman fee. This is despite each website claiming to be the cheapest amongst all. While the difference is often not a lot, there’s somehow a sense of satisfaction in knowing that you secured the best possible deal. I mean, you clicked on this article to find out how to save money, so every dollar counts in the long run! That being said, these booking websites do have pretty good deals once in a while, so don’t dismiss them entirely. The bottom line is: don’t simply rely on one single website or app when it comes to booking. Keep checking and comparing if you really want to save up!